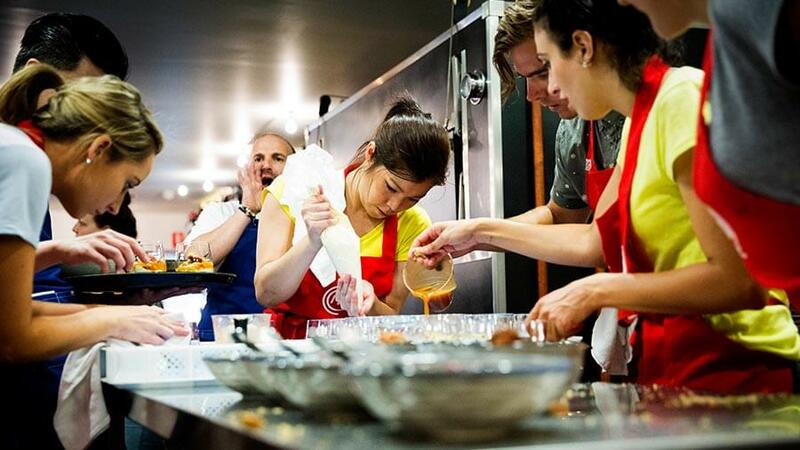 This excellent indoor team building activity will bring out the foodie in everyone. 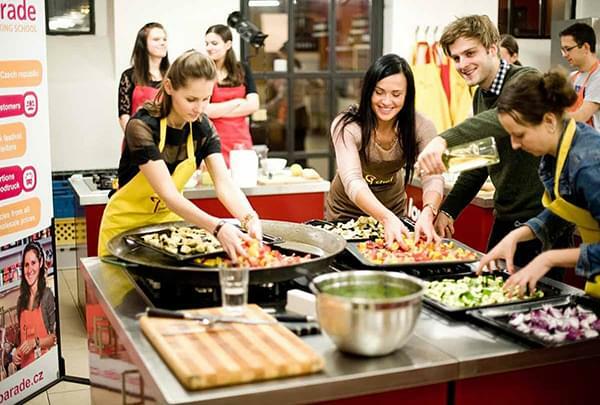 Get together with your business colleagues and enjoy some fun while cooking your own meal! The Team Cooking Challenge focuses not only on traditional Czech cuisine, but also provides courses on international cuisine and current trends. This distinct culinary activity is designed to ensure that “too many Chefs will not spoil the pot”. The Team Cooking Challenge group activity starts with an introduction of our local Master Chef, who will guide you through your tasty journey. Once welcome drinks are served and teams are created, the adventure will begin! Small teams have their own cooking corner with all necessary tools, equipment and ingredients. Each team will cook one specific meal. The Master Chef will always be around to assist with anything you need help with during the challenge, and there are also several fun games and puzzles to solve during the activity to earn extra points. You will enjoy blind tasting, chopping and peeling competitions, a comical culinary quiz, and much more. At the end of the 3-4 hour activity, you will finally get a chance to taste the entire menu, alongside great wines. 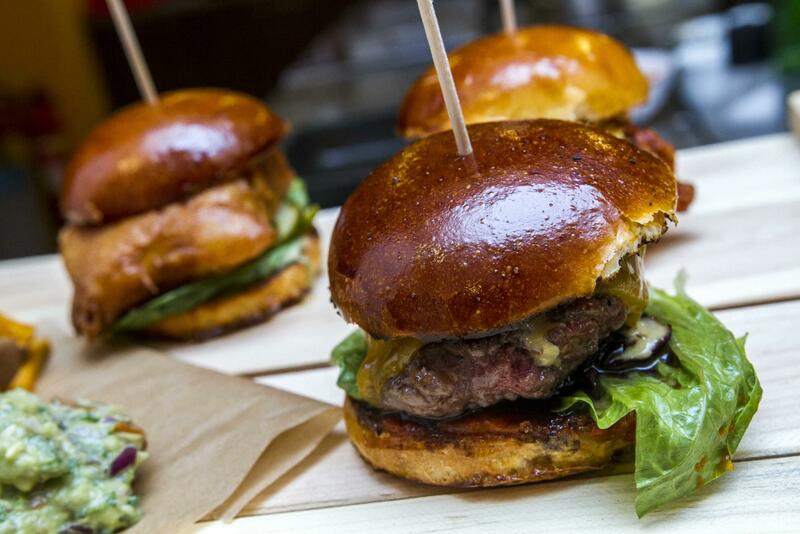 Guests vote for the best meals, and the winners of the Team Cooking Challenge are announced! 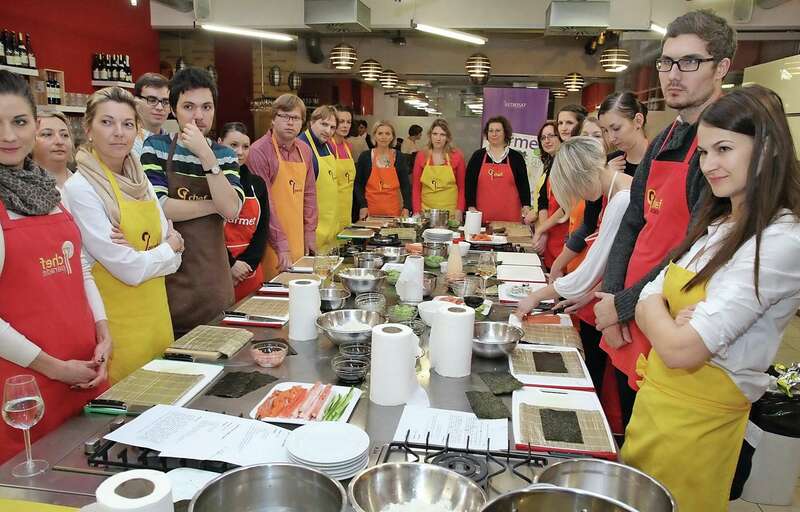 The Prague Team Cooking Challenge is an ideal break from your corporate conference. It provides good fun, lasting memories, and practical knowledge. Unleash your hidden Chef!